Vows, Wow! Meaningful Kavanah (Intention) coupled with Holy Energy-Watch Out! 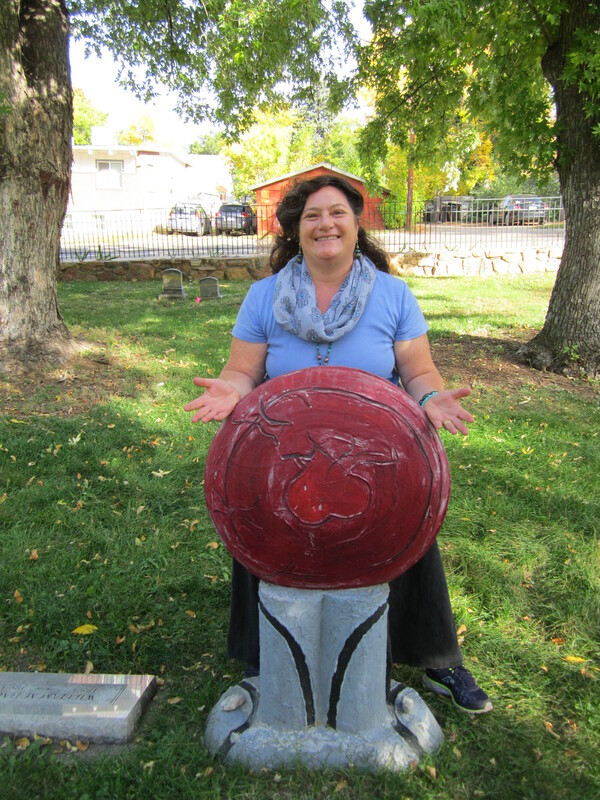 Nicole’s Open Heart and Hands, in front of my sister Paula’s grave marker. Today, while cleaning through the piles of boxes and corners of my home that I need to get through before I go away, I came upon the original vow I made on January 21, 2008. I have been crying reading through my notes about this vow on scratch paper, tucked into one of my journals. I do not speak in detail or much about the folks I have parented, cared for or held in tenuous and troubling and complex times. There are privacy issues and also, a deep desire to remain anonymous in my giving, which seems not possible, since so many folks have been involved in these adventures of mine. It’s different though when talking about things in a public context. I’ll be honest and put down here the journal entries and notes that led to my initial vow to take some space for myself. These initial notes and thought are some of the origins that led to this process of going away for a full year Sabbatical retreat. It has been a long time coming. At which time, I will reassess this vow and decide if I am called to continue this process for another period of time. I have been re-dedicating myself to this vow for various periods of time, since the original writing. It has transformed my world. It is and has been powerful. I have said “No” so much more than I ever used to, creating Gevurah boundaries to temper my Chesed nature. 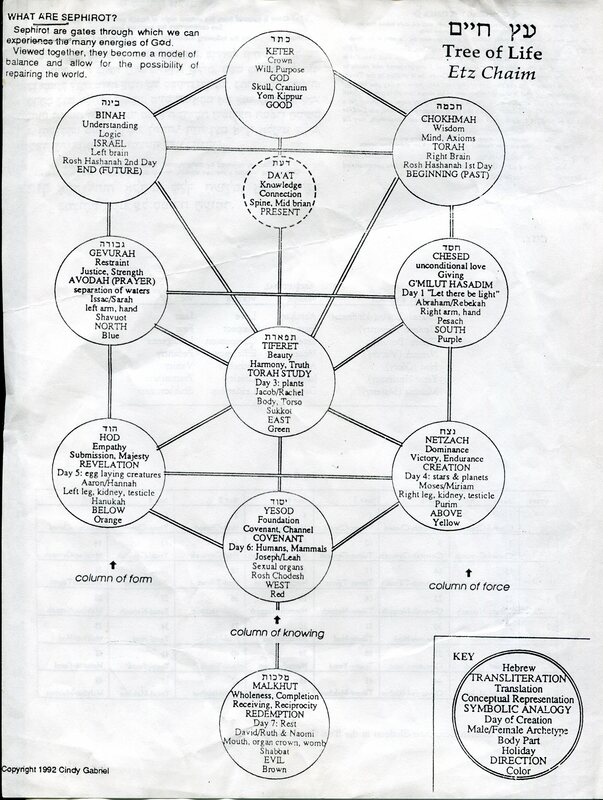 I’ve included my favorite chart of the Tree of Life, that describes these qualities. So, from vowing to take space and saying “No” consciously more and more, I have actually managed to create the environment I have been needing. It has been a long journey. I still visit folks who are ill and attend to lots of people in various situations and generally offer myself to a lot of people in need. What is most relevant, is that my time doing this has shifted and it was the vow I took that helped shape that change. Taking vows in the Jewish tradition is a very serious thing. We are encouraged NOT to take or make vows. They are too easy to break, and when they are made with intention/kavanah, they are seen as obligations between oneself and the Holy One and whomever we are also making a promise/vow to. On Kol Nidre, we specifically are forgiven, in advance for all vows we take. There are lots of reasons for this, but essentially for me, what resonates in this has to do with the fact that it is VERY hard to keep promises and vows and there is a built in understanding of our human nature implicit in the practice of Kol Nidre. So, when I take a vow, I do so knowing it is a big deal. I do not make vows lightly and I endeavor not to break them. This in itself is a very big challenge and daily practice. May your vow taking be real and meaningful and may you find ways to release yourself from vows that are no longer relevant for you and to strengthen and engage more with the ones that are most right for you. Attending to my vow of keeping Shabbat, so that’s all for now! Shabbat Shalom!